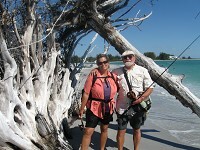 Waterproof Pocket Guides for visiting or recreational anglers in the Lemon Bay area. These books are "Like Having a Professional Guide in Your Pocket" with cut to the chase information to help you be successful while fishing in Southwest Florida. Englewood comes alive with the sounds of Motorcycle enthusiasts from all over SW Florida. The Englewood Moose Riders will be sponsoring & hosting a bike nights in Englewood. There will be concerts with live bands Like Maiden Cane, Copperhead, Twinkle & Rock Soul Radio, and vendors, raffles, 50/50, etc. You can enter to win a 2019 Harley Street Glide and There are restaurants and pubs with live entertainment like at The Moose Lodge, Englewoods On Dearborn St. Ole Time Cafe, Barbarinos Pizzeria, Comrade's, La Stanza, Zekes, Mango Bistro, and more. Great food, live entertainment, good drinks, raffles, drawings vendors and one heck of a good time. All while supporting Moose Rider Charities like: F.A.M.E., Englewood Area Cancer Foundation, Helping Hands, Blanche's Dog Rescue, Dachshund Rescue, Sheriffs Youth Ranch, Mooseheart, Moosehaven, Wreaths Across America, and many More. On vacation? 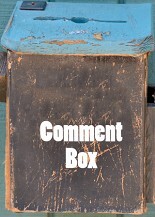 Experiencing Zumba® 'withdrawal'? 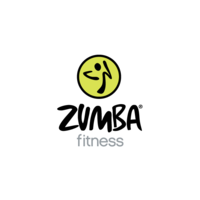 Get your 'fix' and take Zumba® with Terri in Englewood, Florida. Fun, calorie torching workout, that's easy to follow. Zumba Fitness® is the only Latin-inspired dance-fitness program that blends red-hot international music and contagious steps to form a "fitness-party" that is downright addictive. supplement your cardio work with a full body workout.